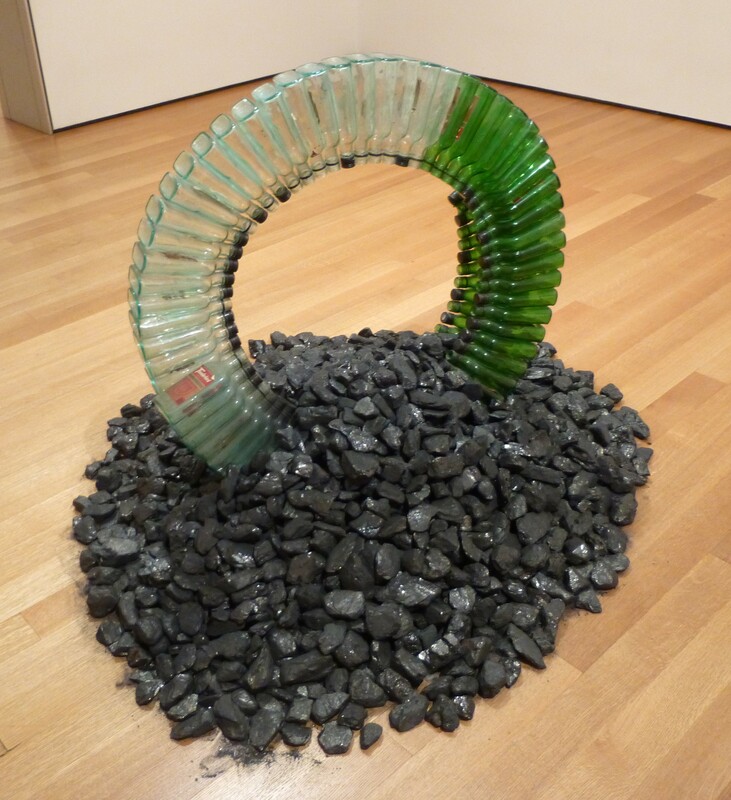 This Sculpture / Installation, Untitled (Night Train) (1989) by African-American artist David Hammons had just been re-rotated into display from the permanent collection at MOMA when I visited earlier this month, and I think it’s really terrific. 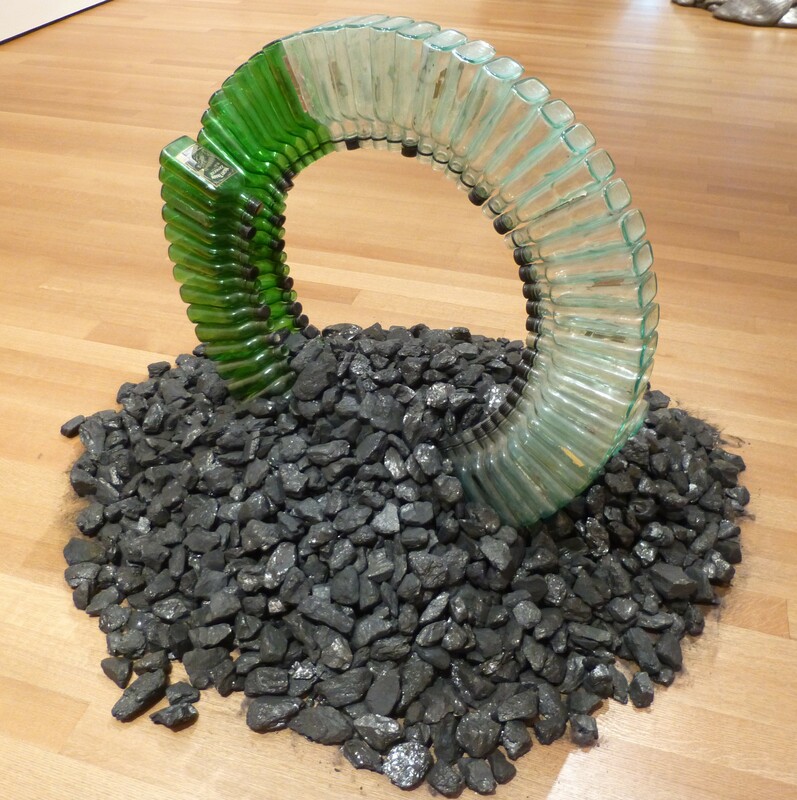 David Hammons has risen to prominence while at the same time consciously ducking the attention of critics, galleries and museums, preferring to “do things in the street.” A recipient of both a MacArthur Foundation Genius Award and a Pric de Rome, Hammons places himself as an artist between Arte Povera and Marcel Duchamp. He makes his art from refuse and the detritus of African-American life: chicken wings, Thunderbird and Night Train bottles, clippings from dreadlocks, basketball hoops, etc. Hammons‘ deeply felt political views on race and cultural stereotypes give his witty and elegant sculptures, installations, and body prints an integrity that promises to keep the focus on his art rather than on his career. David Hammons lives and works in NYC. Elad Lassry (born 1977, Tel Aviv, Israel) is an Israeli-American artist who lives and works in Los Angeles. His chromogenic color prints — still life compositions, stock images, photocollages and studio portraits of friends and celebrities — never exceed the dimensions of a magazine page or spread and are displayed in frames that derive their colors from the dominant hues in the photographs. I love how this photo looks so much like an ad, and thus succeeds on the same level as the work of Andy Warhol to elevate commercial images to the realm of fine artwork. 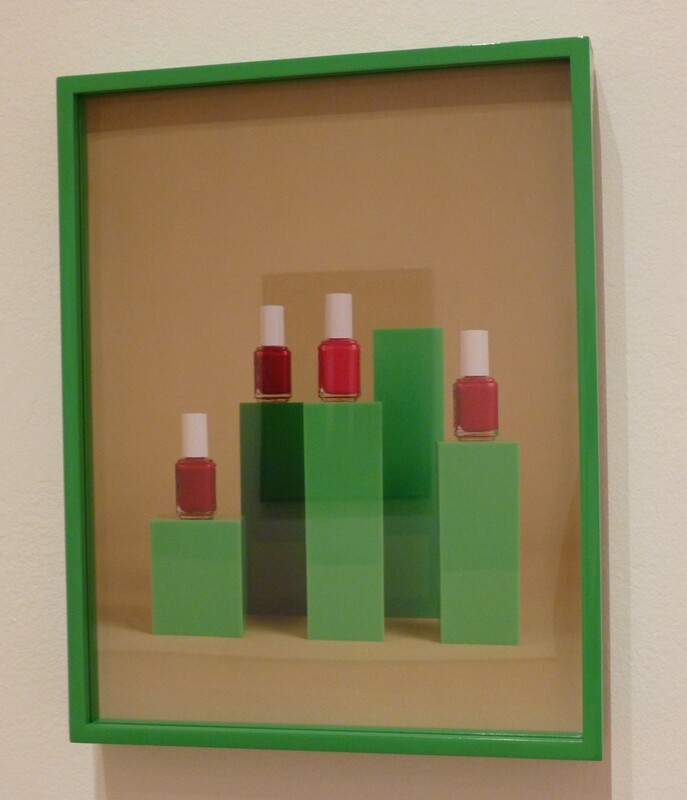 Nailpolish (2009) is a new acquisition to the photography collection of the Museum of Modern Art in NYC. 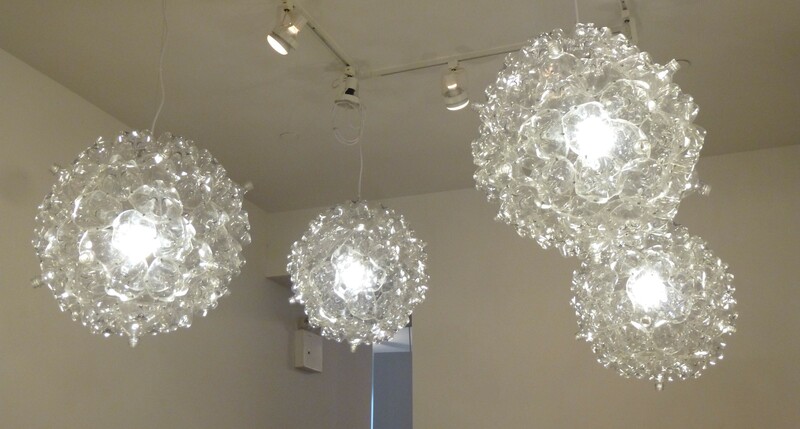 I found this innovative and gorgeous Pendant Lighting in the gallery / event space of Repoproom in the Chelsea Gallery District. 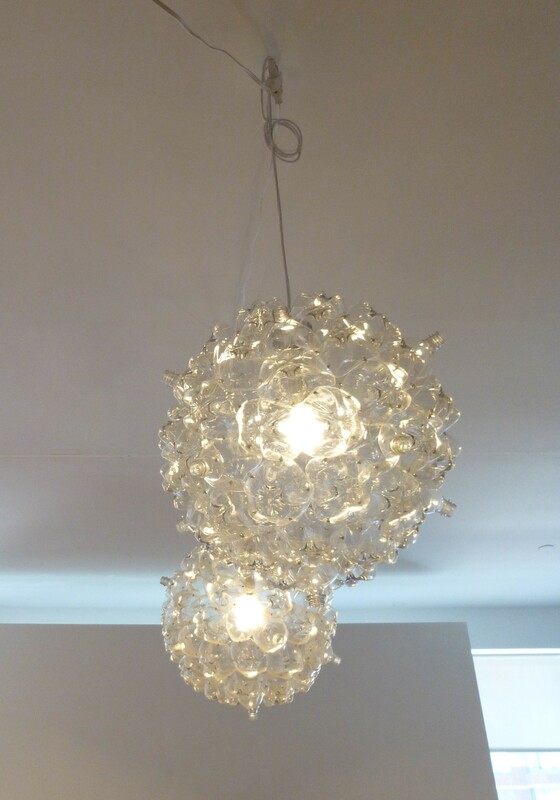 It was my friend Anne who realized the globes are constructed from clusters from upcycled 2 Liter plastic Soda Bottles! 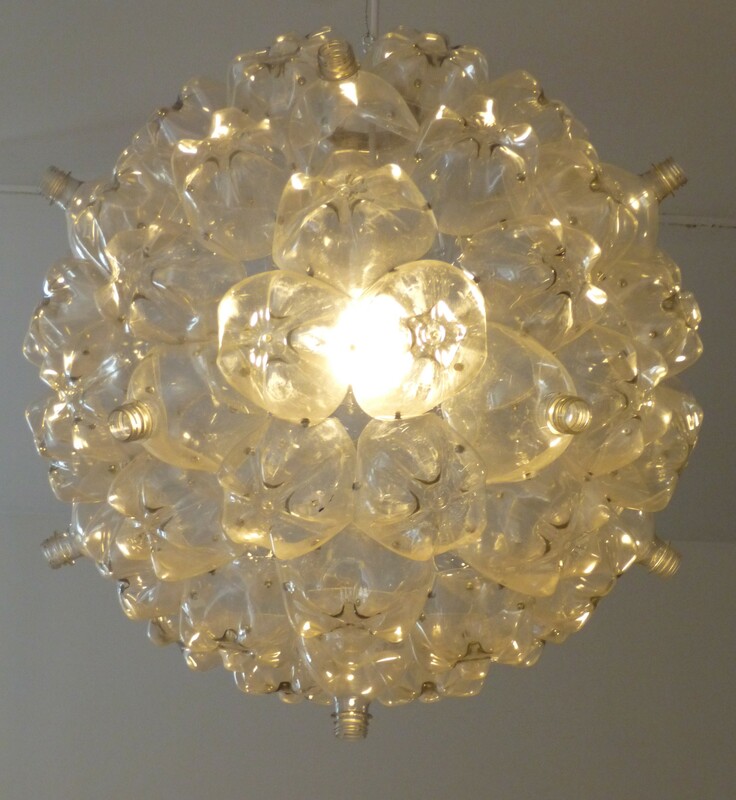 What a great recycling idea! I’m not sure how these lamps were made but I’d bet you could do a little Googling and find step-by-step DIY instructions for a similar project. Because, the Internets. Isn’t this Gorgeous? Love It. 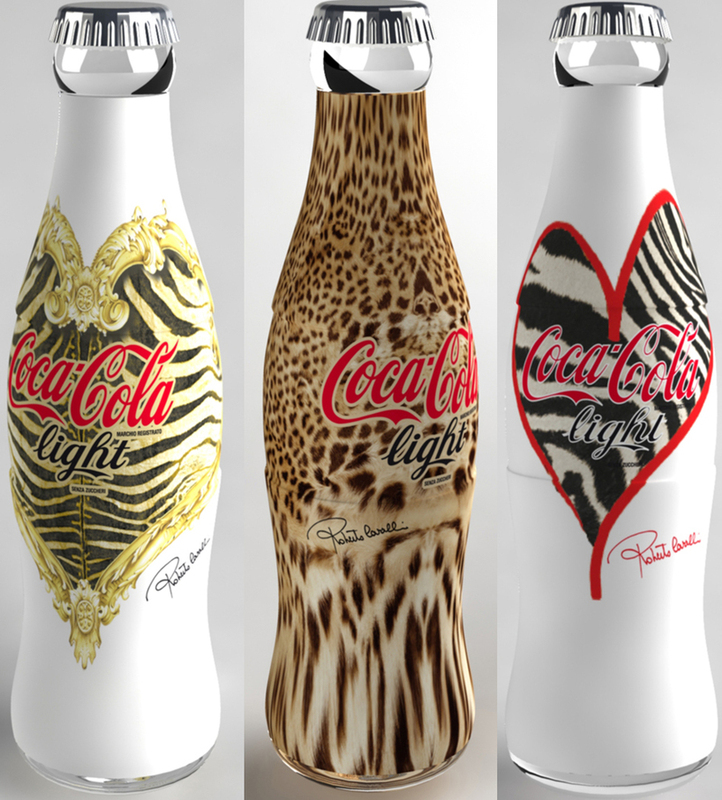 Designer Roberto Cavalli, in a joint Venture with Coca Cola, has designed these totally rad Animal Print Coca Cola Light Bottles that, unfortunately, are being sold (in a “limited edition” of just 300,000) in Italy only. Drat! And if the comment thread attached to the above link is any indication, they apparently aren’t going over too well with the pop culture design snobs that trawl The Dieline Dot Com — which only makes me love them more!!! 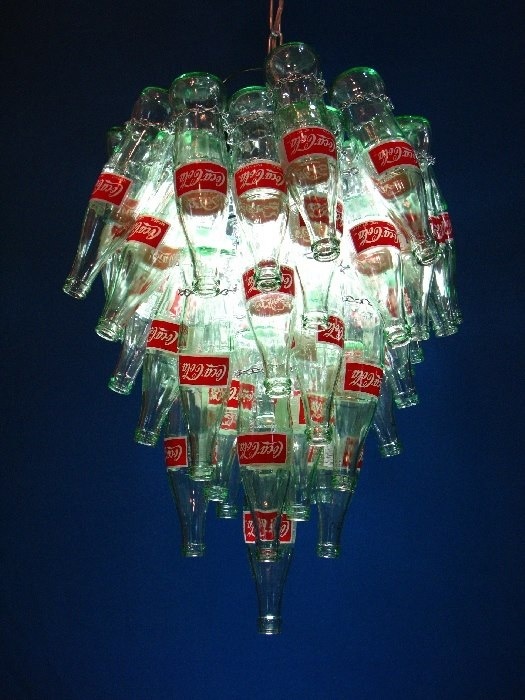 This entry was posted on August 6, 2008, in Gail's Rad Blog and tagged Animal Prints, Bottles, Coca Cola, Collectible, Designer, Roberto Cavalli, Soda Bottles, The Dieline.